The search returned 25 results. Start: End: Search Title? Search Article? Search Tags? The "Global Online Food Delivery Services Market Size, Market Share, Application Analysis, Regional Outlook, Growth Trends, Key Players, Competitive Strategies and Forecasts, 2018 To 2026" report has been added to ResearchAndMarkets.com's offering. 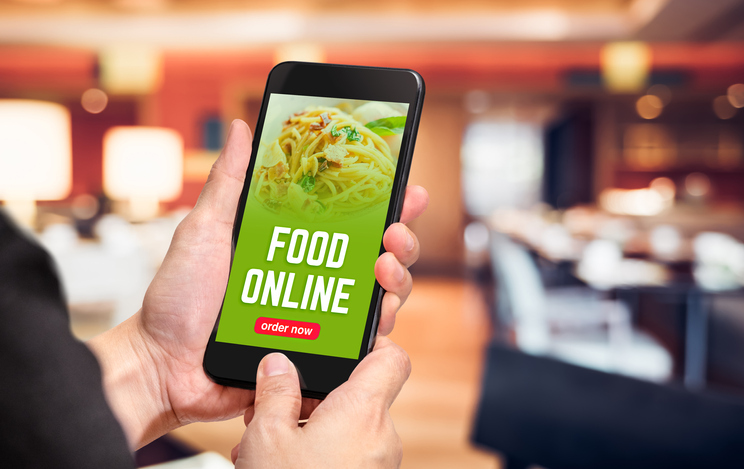 The Online food delivery services market was valued at US$ 81.56 Bn in 2017 and will be growing at a CAGR of 9.8% during the forecast period from 2018 to 2026. The Retail Feedback Group (RFG), a leader in providing actionable stakeholder feedback, today released the 2019 U.S. Supermarket Digital & Social Engagement Study. 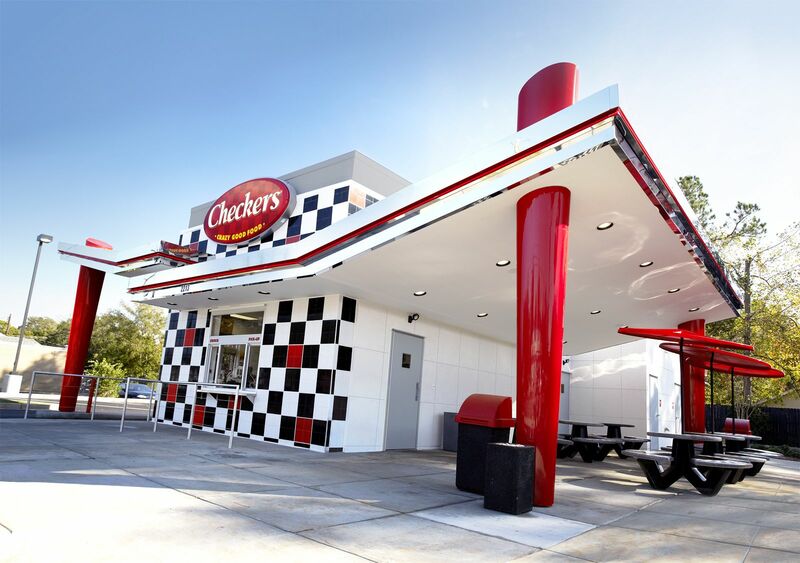 Checkers & Rally’s Restaurants, Inc., today announced the launch of the brand’s new delivery platform, the most comprehensive and franchisee-friendly delivery system in all of QSR. The platform brings five national delivery services – Uber Eats, DoorDash, Postmates, Grubhub and Amazon Restaurants – together under one single, seamless point-of-sale (POS) system. Integrations via Olo will give guests the ability to order the brand’s “Crazy Good Food” from their favorite delivery service, while giving franchisees and restaurant operators a profitable and operationally simple way to fulfill those orders. Today, Papa John’s International, Inc. (NASDAQ: PZZA) announced a national partnership with DoorDash, the fastest-growing on-demand destination for door-to-door delivery, offering delivery from more than 1,400 restaurants. To celebrate the launch, lucky pizza lovers can get $0 delivery during St. Patrick’s Day weekend from March 15-17 on all orders over $10 delivered through the platform at participating locations. By working with partners like DoorDash, Papa John's continues to find ways to reach new customer segments and expand its off-premise offerings through delivery and takeout. Delivery is on a meteoric rise in QSR and fast-casual dining. People are willing to pay a premium to get food without picking it up. In situations when restaurants don't provide delivery on their own, firms like DoorDash, UberEATS, and Postmates have built themselves on connecting consumers and restaurants across the last mile. A recent study by digital ordering solutions firm Tillster aimed to summarize consumer preferences on food delivery. They found that in the past year more than half of all QSR and fast casual customers placed a delivery online, and a majority of customers would order more if delivery was available. Starting February 25th, Hooters restaurants will begin serving stuffed wings. The latest innovation on the chicken wing concept consists of Hooters original-style wings hand-stuffed with zesty chorizo or cajun jambalaya filling. While Hooters locations won't be serving these in-store until the 25th, the wings can actually be purchased today. From the 22nd to the 24th, Hooters is offering free stuffed wings to anyone who makes an order of $15 or more via DoorDash and uses the "STUFFED" promo code. Blue Apron, known for creating incredible meal experiences, today introduced its most flexible culinary innovation to date: Blue Apron Knick Knacks™, a new line of recipe solutions that give consumers the flexibility to combine the protein and produce of their choice with specialty, pre-portioned, refrigerated ingredients and step-by-step recipes to enjoy a delicious meal for two. Taco Bell fans have been wishing for delivery for years and now it's coming true. 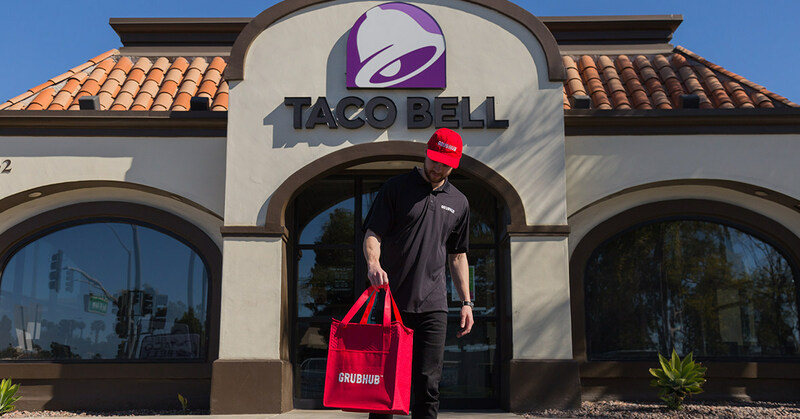 Today, Taco Bell is announcing nationwide delivery available via Grubhub, uniquely designed for an even faster experience. And for a limited time, all Taco Bell orders over $12.00 come with free delivery excluding tax. The Kroger Co. (NYSE: KR) and Home Chef announced today the introduction of retail meal kits to new cities, bringing the weekly rotating meal solution to 500 additional Kroger Family of Stores across the country. Additionally, homechef.com has launched a customizable meal kit feature for online orders, allowing customers to have more flexibility in deciding what's for dinner by providing the choice to change and upgrade recipe ingredients. The feature—the first among leading meal kit brands—offers unprecedented variety for customers. There’s no denying the impact and influence that digital technologies have on our lives, particularly among younger generations. 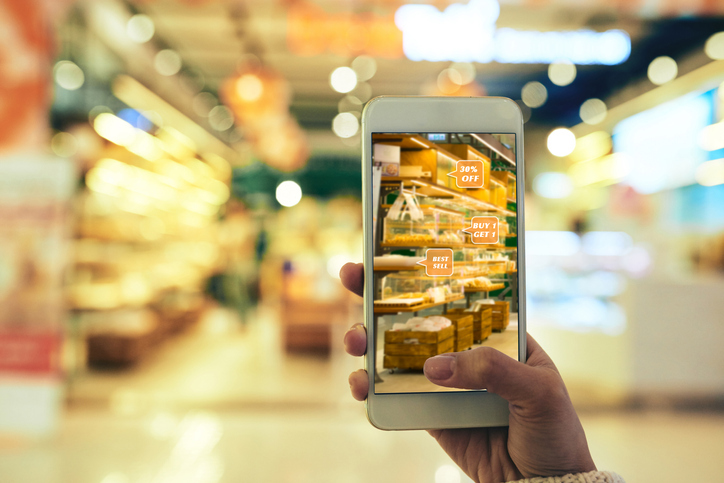 But even in a world that is steadily heading online, it’s important for manufacturers, brands and retailers to understand that brick-and-mortar environments are not fading in importance—even among Millennials. 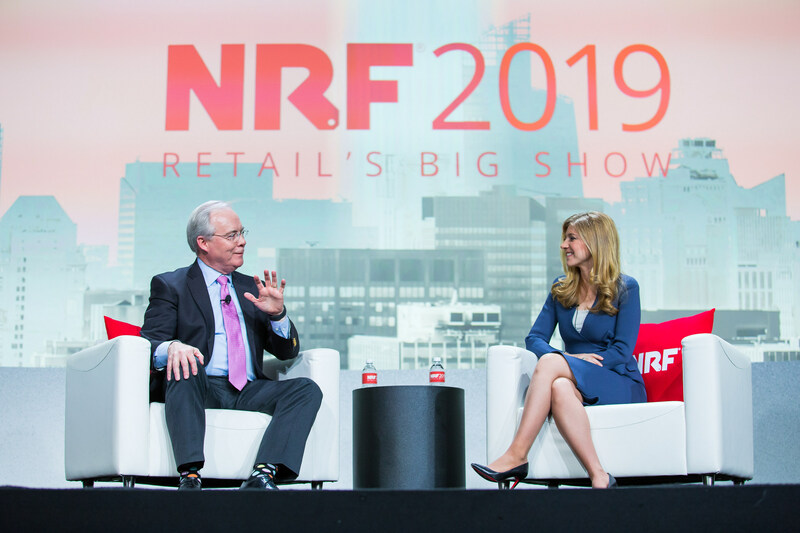 The Kroger Co. Chairman and CEO Rodney McMullen provided his outlook on the future of retail at the NRF 2019: Retail's Big Show in New York City during a dynamic keynote presentation themed Restocking the future: Kroger's insatiable appetite to play and win the long game. CNBC "Squawk on the Street" and "Closing Bell" Anchor Sara Eisen moderated the 30-minute conversation on Sunday. Here are Mr. McMullen's five predictions for the future of retail. Chipotle Mexican Grill (NYSE: CMG) today announced the launch of a new collection of Lifestyle Bowls, just in time for New Year's Resolutions. The new line includes a Paleo Salad Bowl, Keto Salad Bowl, Whole30® Salad Bowl and Double Protein Bowl, all exclusively available through the mobile app and on the Chipotle website for in-restaurant pickup or delivery. These first-to-category, diet-driven menu offerings are helping those who have committed to living a healthier lifestyle by making it easy to order delicious bowls that only contain the real ingredients permitted by certain diet regimens. 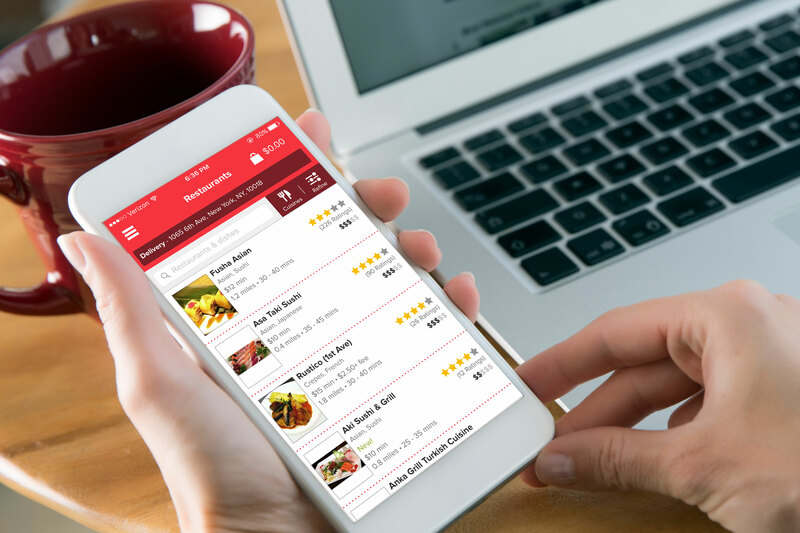 Grubhub, the nation's leading online and mobile food-ordering and delivery marketplace, today released findings from its annual "Year in Food" report. To find out what food trends shaped the year (or didn't), Grubhub analyzed millions of orders placed by more than 16 million diners on its platform and surveyed consumers across the country on their ordering tastes and eating habits. Robotics startup Myrmex recently announced plans to launch their fully automated grocery pickup system to the mass market. Boosted by the platform's innovative, patented design, the company has already received a great deal of attention from top EU industry players and is poised to make a significant disruption. 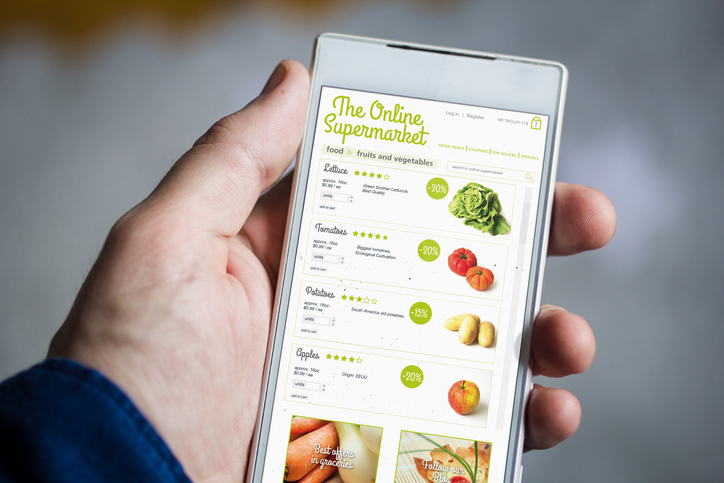 "Customers are increasingly looking digital in the quest for greater grocery shopping convenience," insisted Founder Ioannis Kanellos. "Myrmex goes a step further by leveraging the power of mobile robotic units and arm manipulators to deliver online orders faster than ever." Pizza Hut, a subsidiary of Yum! Brands, Inc. (NYSE: YUM), today announced that its U.S. business has entered into a definitive agreement to acquire QuikOrder, a leading online ordering software and service provider for the restaurant industry. Terms of the deal were not disclosed, but it marks one of Pizza Hut's largest acquisitions to date. Taziki's Mediterranean Café Launches New Innovative AppBirmingham, AL (Restaurant News Release) Taziki’s Mediterranean Café, recently named one of Inc. 5000’s fastest growing companies, has seen an impressive rise in online ordering and to-go sales in 2018. During the past three years, the company has experienced an over 200% increase in the amount of online and to-go orders. Sysco Corporation (NYSE: SYY), the leading global foodservice distribution company, announced today that its e-Commerce platform, Supplies on the Fly, has partnered with Frieda’s Specialty Produce to offer next-day delivery of specialty and exotic produce items to customers across the United States. RichRelevance, the global leader in Experience Personalization, today announced key findings from its Digital Grocery Survey: 2018 Holiday Edition consumer survey. The study finds that more than 4 in 10 Americans (44%) plan to shop online for some or all of the groceries they need for their Thanksgiving or holiday meal this year. This is more than twice as many people who shopped online for Thanksgiving groceries in 2017. Thanksgiving is next week, and some supermarket shelves are already being cleared of some key essentials. 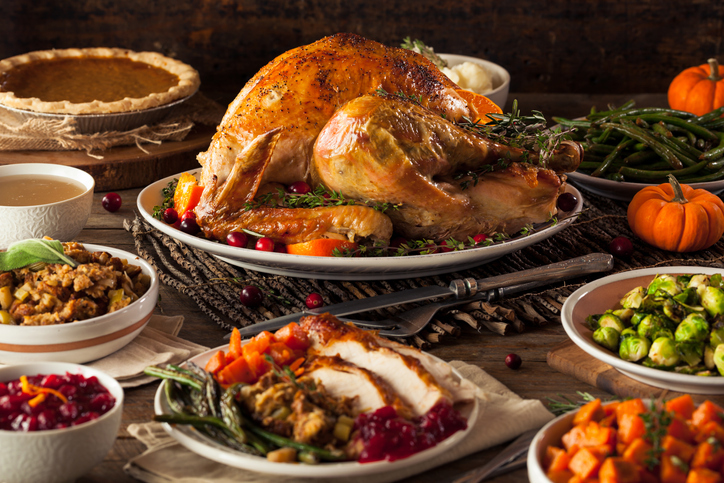 As grocers restock in an attempt to keep up with demand, we have the latest outlook on what Turkey Day 2018 will bring. First, let’s take a look at the bird. ‘Tis the feast of fowl after all. Buying opportunities at retail have more than doubled since last week, currently claiming 16 percent of total protein features. Turkey has seemingly taken circular share away from chicken, falling to just 12 percent this week versus 19 percent a week ago. 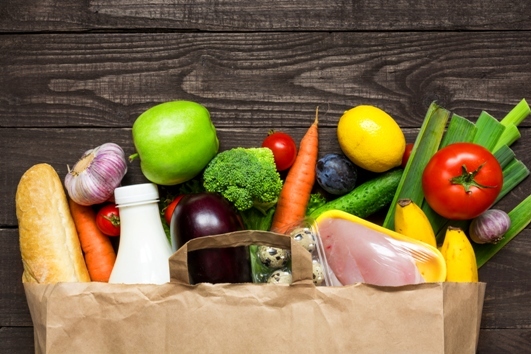 FreshDirect, the Northeast’s leading online fresh food grocer, today announced its top ten food trends for 2019. The trends list was curated by FreshDirect and FoodKick’s in-house teams of food and wine* experts. Instacart, the North American leader in online groceries, today announced the national expansion of Instacart Pickup, a new grocery click-and-collect service. Instacart Pickup gives customers the convenience of both delivery and/or pickup options, allowing them to order through Instacart and pick up their groceries from their favorite retailer. Instacart will be working with existing and new retail partners to add the Instacart Pickup service to participating partner stores nationwide over the coming months and throughout 2019. Meijer announced the expansion of its Meijer Home Delivery program to include a pick-up option at stores across the Midwest, building on a chainwide initiative to offer customers multiple ways to conveniently shop its stores. 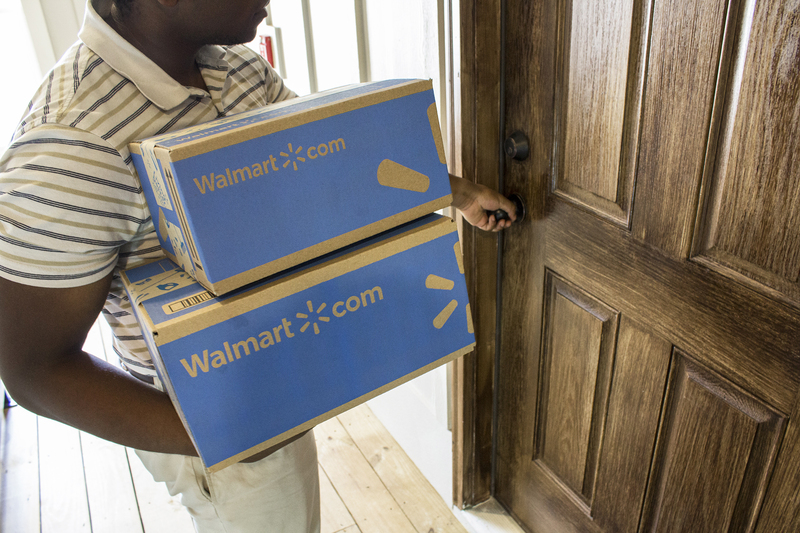 When customers shop Walmart.com, they trust us for low prices and free two-day shipping* on the items they buy every day. And, regardless if the item is shipped by Walmart or a third-party, marketplace seller, we know they expect the same, seamless shopping experience. 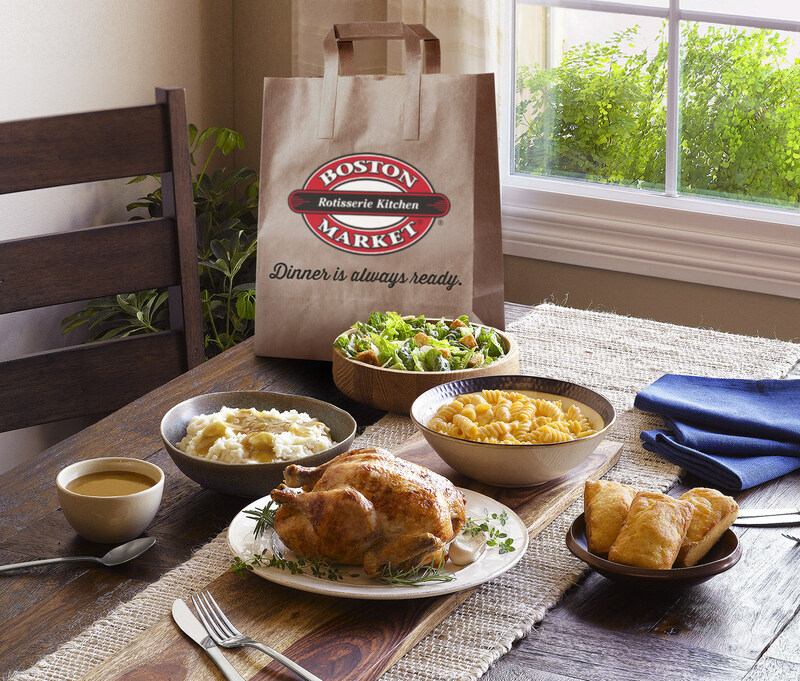 Boston Market®, the rotisserie everything experts, today announced the launch of online delivery available to its guests across 330 restaurants nationwide.